The Smallprint: Some of the organisations mentioned in this post hosted me or gave me a discount. As always, the stories, experiences and opinions expressed here are purely my own. This post contains affiliate links. For more information on affiliates and what type of organisations I collaborate with, please read my Editorial Policy. The second most visited city in the world, London needs no introduction. In fact, it used to sit firmly at in top spot until fast-paced Bangkok toppled it. As a Londoner born and bred, I’ve always been fond of my home town. It has its moments where the grind gets a little too much, and as for the weather… probably better not to get started on that one. But those small grievances aside, London is an awesome place to visit. One of the highlights for me this year has been getting the chance to explore my home town from a new perspective: one of someone in search of responsible tourism options in London, looking for eco hotels in London, sustainable things to do in London, and generally the chance to enjoy this beautiful city while giving back. The London Skyline – image creative commons. Getting There and Away (Sustainably). Best for Sustainability and Luxury – One Aldwych. Best for Doing Good – Good Hotel London. Best for When on a Budget – QBIC Hotel London Shoreditch. Best for Staying Local – Bermondsey Square Hotel. The Best of Responsible Travel in London – Things to Do. Responsible Travel Options and Eco Friendly Activities in London. Eating out with Purpose in London. Avoiding the Crowds in London. Last but not least… Is London Safe? As one of the most visited cities in the world, London definitely has something of a numbers problem, although due to its sprawling size mass tourism is not evident in the same way that it is in Barcelona, Dubrovnik or any of the Italian cities. 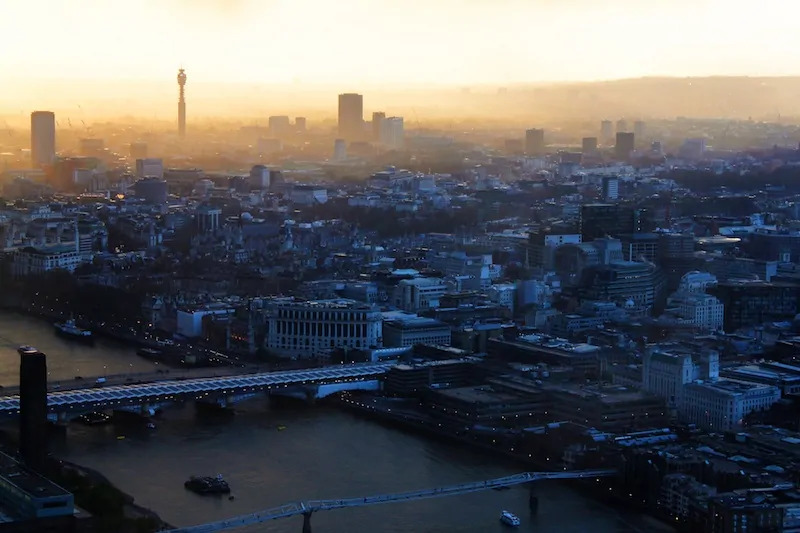 London’s size is also part of its challenge – especially for the first time visitor it can be daunting to know where to go outside of the very centre to experience a bit more of local London (as opposed to merely Tripadvisor’s top 10). One of the things that impressed me the most on my return to London earlier in the year was the wide range of options for travel that gives back in London. From tours run by the homeless, to SUP-ing for Plastic on London’s canals, to some of the finest eco friendly hotels London has a lot to offer! If travelling to London from within Europe, you may be able to get there easily by train as opposed to flying. London is well connected by rail from Scotland, Paris, and Brussels (Amsterdam is coming soon with Eurostar’s newest route, hopefully in Easter 2018). For more on reaching London by train I recommend the ever helpful Man in Seat 61. If you’re game to give Slow Travel a try, there are ferry routes to the UK from Ireland, Germany, France and the Netherlands. They arrive at different ports in the UK and you can connect to London by train/bus from there. If arriving by plane, London has no less than six (yes, six) airports to choose from. Heathrow (and to a lesser extent, Gatwick) are the main international and intercontinental hubs. London City airport is the most expensive option but also the most centrally located, and Luton, Southend and Stansted airports are primarily hubs for easyJet, Ryanair, and other budget airlines. If coming in to Heathrow the most financially sustainable option for reaching London is to take the tube vs the overpriced Heathrow Express train which will set you back a whole £20. In general airport express trains are an expensive option and regular trains, buses or underground/DLR are cheaper. For buses check National Express and train service details can be found here. Getting around London by public transport – image pixabay. One of the easiest ways to practise responsible travel in London is to get around by public transport. In general the network of metros (called the ‘tube’ or ‘underground’), buses and suburban trains run well, but it’s best to avoid travelling at rush-hour unless you really need to (otherwise you’ll get the “sardine” experience. Buying an Oyster card is a must to be able to take buses and get the best value fares. Read more about the Oyster card and special offers for visitors to London here. Since November 2017 Uber has been banned in London, and black cabs are expensive – so it’s best to use public transport wherever possible. Driving in London is a no-no and a “congestion charge” of £11.50 per day applies Monday – Friday. So definitely leave the car at home. London also has cycling schemes, an increasing number of cyclists, and some cycle lanes. The city has been trying to improve conditions for cycling over recent years, but cycling in the UK’s capital remains hazardous – at best. (People die every day from collisions with lorries and busses). Cycling lanes in particular are unpredictable and a re prone to disappearing at any moment. Unless you’re a cycling pro used to busy cities, I suggest sticking with public transport. London has a great selection of sustainable hotels and eco friendly places to stay, if one does a little digging. Luckily, I’ve done that digging for you, and here are my top picks for green hotels in London, or are doing their bit to promote responsible travel in London. A room at One Aldwych. Image c. One Aldwych. Number One Aldwych occupies prime position in London’s West End, just steps from Covent Garden and theatre land – not only will you never run out of things to do staying here, but you’ll be able to enjoy luxury at its best – that is in a way that is sustainable. I caught up with the hotel’s own “Mr Green” during my stay here and heard all about the measures that the hotel has put in place and couldn’t fit all my notes onto one page of my notebook, there was so much going on to make the hotel as sustainable as possible. If you’d like to read about them you can check out my review of One Aldwych here. The pool at One Aldwych – all chemical free! Beyond a whole host of energy efficiency measures, the hotel has a chlorine-free pool, a sumptuous spa that uses organic products and its main restaurant sources sustainable ingredients for its gluten and dairy free menu. Their destination restaurant, Eneko, is run by award winning Chef Eneko Axta, who is owner of the world’s most sustainable restaurant! Find more info and rates for One Aldwych here. Tip: even if you don’t stay at one Aldwych I highly recommend visiting for Afternoon Tea (what could be more British) or a cocktail in their lounge to admire their stunning floral displays. A room at the Good Hotel London (some have river views) Image c. Good Hotel. There are few hotels in London that do as much good as the Good Hotel London. Located in London’s eastern docklands, this floating hotel used to be based in Amsterdam. Together with its twin property in Antigua, Good Hotel provides “premium hospitality with doing good for the local community”. Along with the eco friendly measures that you would expect from a sustainable hotel in London, the Good Hotel is big on up cycling and strives to have a positive social impact too. They take on a number of unemployed locals as trainees from disadvantaged communities/backgrounds (of which there are plenty in East London). Once their training is completed with Good Hotel, they get a salaried job. Good Hotel sources from local suppliers, and helps local NGO’s with business support. The hotel also supports NGO Ninos de Guatemala. Find more info and rates for Good Hotel London here. Tip: I loved the feel of the Good Hotel, from everything they do to give back socially while minimising their environmental impact, to the feeling of floating (the hotel floats on water). Waking up to a water view never felt so good. Raising eco awareness at QBIC London! The QBIC Hotel London is living proof that sustainable travel on a budget is perfectly possible. Nestled in London’s super trendy Shoreditch (hipster alert), the QBIC hotel is also super handy for being close to the city of London. This part of town offers great deals at weekends particularly, given the preference of some to be in the heart of the west end (which is further away). Personally I prefer my weekends a little quieter so this hotel was just my cup of (green) tea. The QBIC Hotel London manages to go far beyond the “reuse your towels and save the planet” vaguery of so many hotels and actually takes it to the extent of: if you skip your daily house-keeping, get a drink on us at the bar. I don’t know about you, but any hotel that incentivises environmental friendliness with the offer of a free cocktail is onto a winner in my book. And just in case you forget about responsible water usage while enjoying the super-efficient rain shower, this eco friendly hotel has reminders on their organic (non plastic) shampoo bottles to turn off the shower while lathering up. Along with being “London’s Greenest Hotel”, QBIC hotel also lets its basement space be used by local artists and social initiatives. They host regular events that are targeted at the local community, so that instead of being a “place for tourists”, QBIC hotel is just as much a place for local residents in the community. If you’d like to learn more, have a read of my review of the QBIC Hotel London. Find more info and rates for QBIC Hotel London Shoreditch here. Tip: I loved the super comfortable beds, and the array of yummy vegetarian options on offer in their cafe. Shard View? From the Bermondsey Square Hotel. Or best for those who like their room complete with a view of the Shard (London’s iconic pyramid skyscraper)! My favourite part of London has always been the “south bank” and the area around London Bridge. With it’s now converted warehouses, narrow winding streets and dockyards that were once the industrial hub of an empire, I’ve always found this part of town to be the one that conveys the most of London’s history. The Bermondsey Square hotel is a boutique hotel that is just steps from all of that. Located in the heart of thriving Bermondsey which is packed with independent local stores and local businesses, this hotel is in prime position to explore the ever popular Borough Market, and the array of organic cafes and artisan shops that line bustling Bermondsey Street. While not officially an eco hotel in London, the Bermondsey Square is proudly part of the local community and actively encourages its guests to “meet the street“. Add to that a view of the London skyline that you won’t forget in a hurry. Find more info and rates for the Bermondsey Square Hotel here. Tip: If you’ve been putting off your yoga practice for a while (I know the feeling) the hotel offers yoga classes or private lessons. It’s also well worth the extra for a room with a Shard View! When it comes to sustainable things to do in London, sightseeing, tours and activities, the city could keep you entertained for days – so this is far from an exhaustive list! From responsible tours that give back, to mindful visits to gardens, and zero waste restaurants, these are a few ideas to get you started. Explore London’s City Gardens. Hidden away behind walls, or simply tucked into less-known parts of the city, London holds a treasure trove of city gardens waiting to be enjoyed. I visited St Mary’s Secret Garden in Paddington, which is a not for profit organisation that focuses on providing well-being, support and an inclusive environment to local communities and those in need. You can find a whole list of city gardens here. If you like green spaces, Kew Gardens, in south west London has also received much praise – I have yet to make it back there , but you can read my friend Alex of the Mindful Mermaid’s account here. Birds flying over the reservoirs at the Walthamstow Wetlands. Go on a Mindful Walk of London. When I came back to London after living in the Netherlands for 7 years, it wasn’t all plain sailing. What really helped me to appreciate being back in London, though, was going on a mindful walk of London with social enterprise, Street Wisdom. Their mission is to bring inspiration to every street around the world – they hold a number of events in London (and around the world) that are free to attend and encourage a whole new perspective on a familiar place. The walk certainly inspired me 😉 . Go on a tour… and help London’s Homeless. Unseen Tours set up in 2010 with the aim of helping some of London’s homeless through tourism. This is not poverty tourism, but instead tours of different parts of London run by guides who are / have been homeless in that area and can give a unique perspective and story on that part of London. I was lucky enough to go on both the London Bridge tour and the highly memorable Camden Tour by Mike, who tells stories of his Camden of contrasts – to the homes inhabited by Hollywood celebrities in Hampstead to the gritty reality for others. You can book the Camden tour through visit.org here. Exploring Camden with Unseen Tours – Photo Credit Katy Clarke of Untold Morsels. Paddle and Pick up Plastic along London’s Canals. Active 360 run “paddle and pick” events around London where you SUP your way around some of London’s more scenic spots and clean up plastic waste in the process – cleanups are organised regularly. View from the top.. sunrise yoga at London’s Sky Gardens. Salute the sun from the top of London. In a bustling (and sometimes just stressful) city like London, I find it’s important to take some “me time” – one of my favourite ways to do that is to take to the yoga mat. 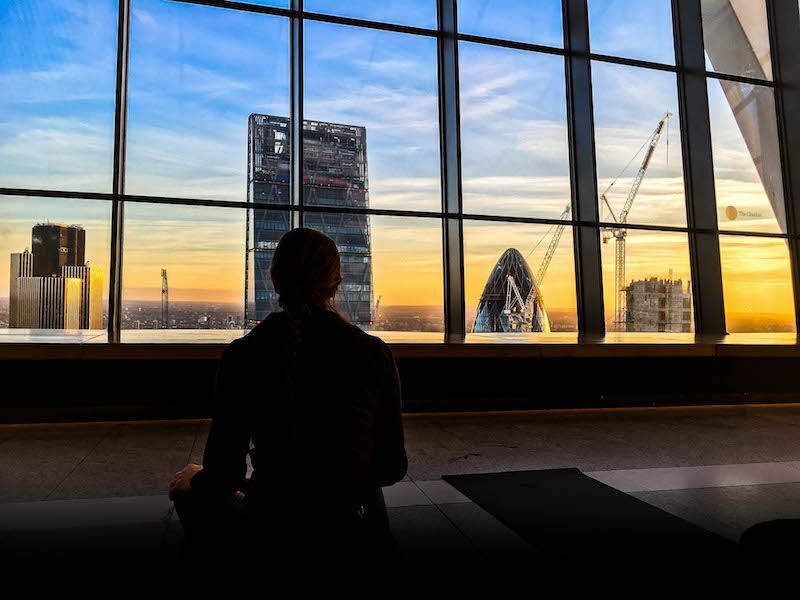 On a cold winter morning I found myself getting up at 5am to make my way to the Sky Gardens (London’s highest garden and well worth a visit – whether for yoga or not) for a sunrise yoga class (seasonal). If sunrise yoga is your thing I highly recommend going here vs the shard where the yoga is double the price. Shop for Sustainable Fashion. A fashionista’s paradise, London has no end of small, local boutiques. Just stay well away from Oxford Street which is chain-store central. Brixton Village is one starting point, and Hackney / Dalston has some eco friendly boutiques. You can read more about where to find some of London’s best eco friendly fashion boutiques here. Exploring London’s beautiful Notting Hill area in Spring – Image by my friend Alex of The Mindful Mermaid. Eat Behind Bars at London’s Clink Restaurant in Brixton, South London. The Clink Charity offers training projects for those serving prison sentences to help them develop skills, re-enter employment and begin a successful career upon release. The restaurants are used as training restaurants for prisoners, where they work or are in training for around 40 hours per week. Eating here directly helps the rehabilitation of prisoners. Needless to say security is tight so you need to get in touch with Clink at least a week before your chosen dining date. Eat at London’s First Zero Waste Restaurant. Tiny Leaf is Organic, Vegetarian, and Zero Waste. It’s now entering a new phase, having popped up in two locations over the last two years. It’s now entering its third phase (details and location currentlyTBC) but this place looks like an eco-eaters dream from biodynamic wines to zero waste beer made from surplus bread (!) there’s plenty to wash your organic food down with too! Have a Traditional Pub Lunch – that’s as good as it tastes. Few things are quite as British as a good (Sunday) pub lunch. The Riverford at The Duke of Cambridge in Islington takes things up a notch (it’s more of a gastropub) but is also the UK’s first and only certified organic pub. Love sampling different cuisines and spices on your travels? Read about going on a (yummy) curry tour of London’s Brick Lane! 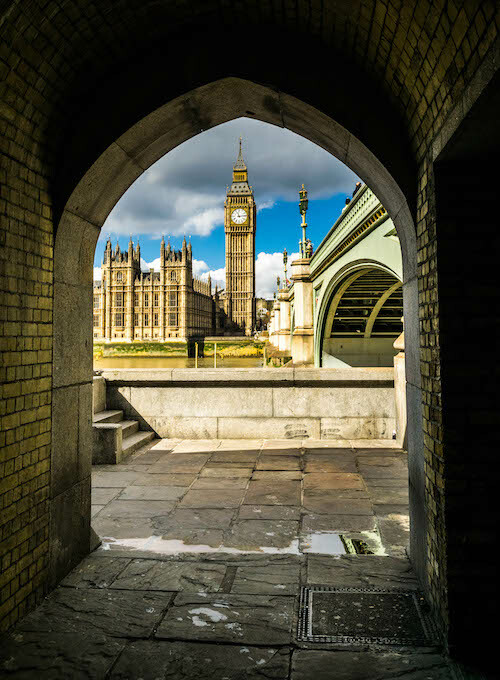 As one of the world’s most popular cities, you’re sure to come up against some crowds in London – whether they are crowds of locals or crowds however depends on where you go. In fact, it’s fairly easy to experience more local London, if you avoid London’s “hotspots”. These are primarily, the West End (being Oxford Street, Piccadilly Circus, Leicester Square and Covent Garden; the area around the London Eye, Knightsbridge, and the museums at South Kensington. Away from these areas you’ll find much more of a blend of Londoners and visitors, representing the wonderfully diverse, colourful and open city that London is. The view from near London Bridge. It saddens me to have to address this point, but I know that in light of the last years’s events and terrorism threats in Europe, increasingly people have been asking if London is safe to visit. As someone who grew up in the city and has lived there for more of my life (including for several months this year) my answer is that London is as safe as anywhere else in the world. The fact is that bad things can happen anywhere, at any time, and in London you’d have to be extremely unlucky to be caught up in anything. Like most other capital cities, there is crime in London, so definitely watch out for pick-pockets in crowded places, and don’t walk alone in deserted areas late at night. If in doubt as to whether an area is safe, ask a local. In all my years of living there I’ve luckily never had anything happen. Just the other week I saw a girl drop her bank card at the underground turnstyles, and people scramble to pick it up to give it back to her (vs take it)! Now sit back, relax and enjoy all that responsible travel in London has to offer!! Do you have ethical or sustainable suggestions for things to do in London? Have you come across these sustainable travel options in the city? Let me know in the comments below! I always a lovely stay at One Aldwych. The rooms are very comfortable rooms and the hotel has a great front desk staff who look after your stay. the lobby was always full of action. A wonderful guide to London, all travelers must read this post before traveling. Reading your blog post is always an experience, they are always so pleasing to look at. Thank you for these suggestions. Saving this for later – me and the wife might start planning a trip to UK in the summer. Great guide! I like the info shared by you. Thanks a lot for sharing the wonderful article.